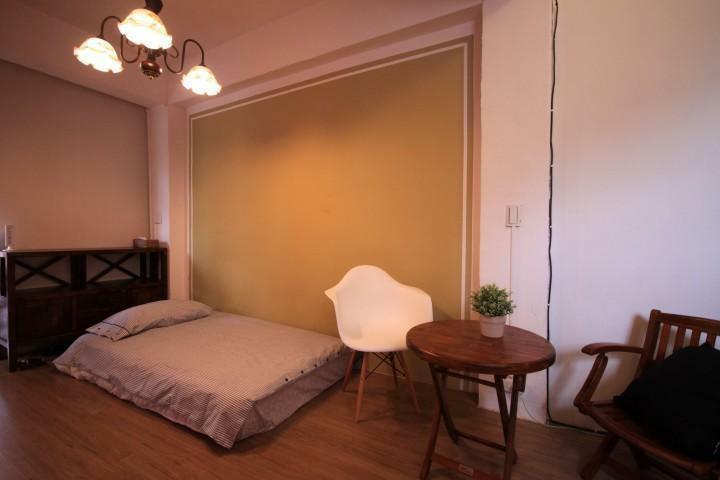 Culture22 is the best-value single-private-room hostel in Taipei, we guarantee it. ♥ Chic Interior Designer rooms, you'll love it! ♥ Please make appointments for reception. + Payment is due upon arrival in New Taiwan Dollars. + We do not accept credit cards so please exchange some currency at the airport. ♥ 30 Day minimum for booking at our hostel. ♥ Deposit and fees are non-refundable. ♥ Booking re-arrangement: Please inform us at least a week in advance. 50% total charge if you inform us within 2 days prior to the accommodation day, 100% on the day of the accommodation. Taxis are the yellow cars outside waiting for you. Most do not speak english. Show them the address above. You can have them call us if there are any problems. The MRT station is reachable underground, look for signs. You will have to transfer. Once at Dingxi MRT Station, leave Exit 2, turn left until you get to Wenhua Road. Turn left again and cross the street to Family Mart. We are on the door to the left of Family Mart. The MRT station is reachable right outside, look for signs. You will have to transfer twice. Once at Dingxi MRT Station, leave Exit 2, turn left until you get to Wenhua Road. Turn left again and cross the street to Family Mart. We are on the door to the left of Family Mart.